I thought I liked Darkman, but when I saw it again a year or so ago it struck me as quite empty, especially post-Spiderman because it has some big similarities. Arnold Vosloo returns as Dr. Peyton Westlake, a.k.a. Darkman, the crime-fighting master of disguises. In this action-packed adventure Westlake matches wits with underworld drug-dealing villain Peter Rooker (Jeff Fahey), who will do anything to unmask the secret of Westlake's superhuman strength. Agreeing to an experimental operation on his ravaged body, Westlake is flung into a vicious game of survival for himself, his priceless research and the lives of two innocent people. One false move and he will be locked into darkness forever. From Executive Producers Sam Raimi and Robert Tapert, creators of the original film, Darkman III: Die Darkman Die, like its predecessors, is jam-packed with surprises, staggering special effects and never-ending thrills. After watching Part 2 yesterday I thought I would finish off the series. I have had these sequels in my unwatched pile for a very long time. So I checked DVD Profiler to see just how long... and curios how much I paid. As it turns out... both sequels were birthday presents from my mother back in 2005. Makes me wish I watched them sooner. This DVD release is a little odd... as it doesn't even have a menu at all. It just automatically plays the movie when you pop it in. Like... oh what were those things called again?... oh yeah... VCRs. It seems to me that once you get to about part 3 the series goes downhill. But I don't think it does in this case. I found I enjoyed this one just as much as the previous. It is a fun series... I enjoyed watching them. The next time I feel like watching I plan on doing all 3. That is a shame... as you can see... it didn't have that effect on me at all. Tarzan meets Indiana Jones! A Mysterious ancient idol called The Green Goddess is being worshipped by the jungle-natives of a lost city deep in Guatemala. Not only is it covered in rubies and jewels, it contains in it an old recipe for a gunpowder-like explosive. Major Martling (Frank Baker) and Ula Vale (Ula Holt) come from Africa to search out the Green Goddess. A mercenary named P. B. Raglan (Ashton Dearholt, who was also a producer of this film) is sent by Ula's lawyer to find the statue first. The major and Ula meet up with Tarzan, who is on a mission to find his old pal, d'Arnot, whose plane crashed near the lost city. The group must nowsave d'Arnot and grab The Green Goddess before Raglan shares all it's secrets! This chapter runs for a good 20min. It is a good chapter with a lot going on. Looking forward to the final chapter now. With her magnifying glass and fingerprint powder in hand, Nancy Drew leaves River Heights for Hollywood...but not to meet that guy on Smallville, as her boyfriend Ned fears. No, she's out to solve one of the greatest mysteries ever: the death of movie star Dehlia Draycott. But the bigger mystery is how our perky, plaid-clad sleuth will fit in with the text-messaging teen queens of mean she meets at Hollywood High. Join Emma Roberts as Nancy in this timeless girl detective mystery as she finds danger, adventure and romance. Because wherever Nancy goes, excitement follows. Brittany and I decided to watch one of her DVDs each day of the long weekend since she has been off since Friday. We both seen the movie before... but I haven't watched the DVD so staying with in my theme. While this is a somewhat silly family movie... especially how Nancy Drew acts and dresses like she is still in the '50s... it is unlike the silliness that is in Big Top Pee-wee... this silliness is just plain fun to me. But that could be from the fact that I have been a fan of the character many years. And I just found this to be a fun (spoof) addition to the Nancy Drew character. However, I would have liked to seen a more straight mystery (minus the comedy/spoofing) movie for the character. While this was worth watching to me... I don't think it would be of much interest to someone that isn't already a fan of the character. The final chapter runs for 19 minutes. I was a little let down by this final chapter. As it had a lot of clips from the previous chapters. It was a recap chapter. This is something I just don't find necessary in a serial. Even if I was watching it first run back in the day... I wouldn't like a final chapter going over everything that already happened in a clip show type format. While I was able to enjoy this serial... over all I must say I am a bit disappointed. From Tarzan's fake yell. To the unimpressive cliffhangers and conclusions to the cliffhangers. To the final chapter being a recap chapter... this serial should have been much better. But of course as I said... I was still able to enjoy this serial some. I do (always have) liked the character. I liked all the action. Especially enjoyed when Tarzan was fighting with the jungle animals. A depraved, inbred familly of degenerate psychopaths led by the grotesque, cannibalistic "freakshow" abduct, torture and kill innocent victims deep in the backwoods of rural Arrowood County. Always recording their crimes on video. This is one of the movies in the Mortuary of Madness boxset. So that alone tells me not to go in there with much expectations. I am so sorry I watched this movie. I swear I should have just went by Jimmy's review of this one and not bothered! But no.. not me... I have to see it for myself. 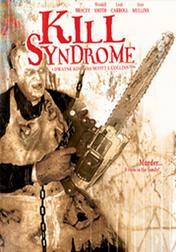 It is like they attempted to rip off Texas Chainsaw Massacre... but without any real story to what they showed! I mean it makes no sense! If there is any saving grace for this movie it would have to be that it is less then an hour long. But even at 54 minutes... it is 54 minutes too long! And I this movie must have more swearing in it's short time then I have ever heard in a single movie before. Well... that brings this marathon to an end. Not a great ending to the marathon... but I knew that was possible when I picked one from that set to end it on. You don't often drop to zero! And that's two in one session, isn't it? Wow. Tell me about it. Don't happen often... but somehow found 2 this weekend! I tried to give my copy of Big Top Pee-wee to Brittany... but she wasn't having any part of it! I've had a few movies in my time that had no real menu, but I can't remember what the specific titles were. I do remember one such movie starred Ally Sheedy but can't for the life of me remember which one that was. And I haven't seen that one in ages so I'm not sure I even still have it. I own one DVD (a R2 release of Versus) which has no menu and no chapter stops either! I believe there is one or two of David Lynch's films where he insisted on "no chapter stops", trying to force the viewer to watch the film in one sitting (I do see what he does there...).